Dame Dorothy Day Care Nursery provides high quality care and education for children from 2-5 years old. It is both a privilege and a responsibility to care for and educate children. We work closely in partnership with parents and carers, to help children to learn and develop through a service which promotes equality and values diversity. We aim to add to the life and well being of the local community. Why choose Dame Dorothy Day Care Nursery? Dame Dorothy Day Care Nursery already has an excellent reputation in Sunderland, and many of our new parents come to us through recommendations from other satisfied parents and carers. We want you and your child to be as happy as possible. 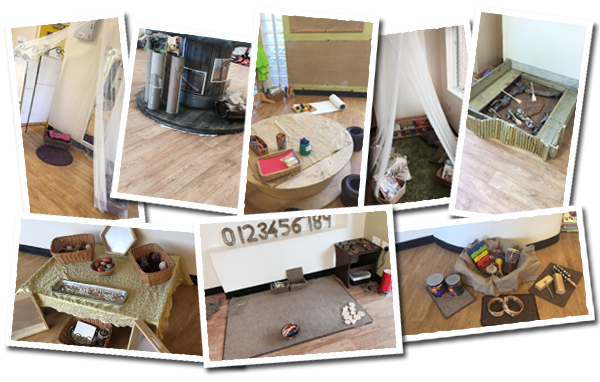 Highly qualified staff work very closely with you and your child, recognising and valuing the importance of stimulating, challenging and appropriate play experiences and the impact this has on the children’s future learning. We operate an open door policy, so that you can come and visit us when it is convenient for you and your family. After your visit, if you wish, availability of sessions and admission forms are completed. After a few short taster sessions, in which your child can start to build relationships with the other children and practitioners, if you and your child are happy, they can commence their full sessions. We also provide wraparound sessions for children who attend the Dame Dorothy Education Nursery sessions. This includes caring for your child before and/or after their session in Nursery. You can contact us on 0191 2505525 or pop into the day care to see us.